Here is "Pocket Shutter" , a pocket device used as intervallometer and sequencer for digital cameras. This little sequencer is primarily developed for CANON EOS300D,350D and 400D digital cameras. Nevertheless it may be adapted for other externally triggerable cameras, assuming the replacement of the male Jack connector with an appropriate one. It may also be adapted for CANON EOS10D, using a RS-80N3 remote command transformed as an intermediate adapter. Pocket Shutter comes with a double trigger function compatible with CANON EOS10D mirror lockup function. 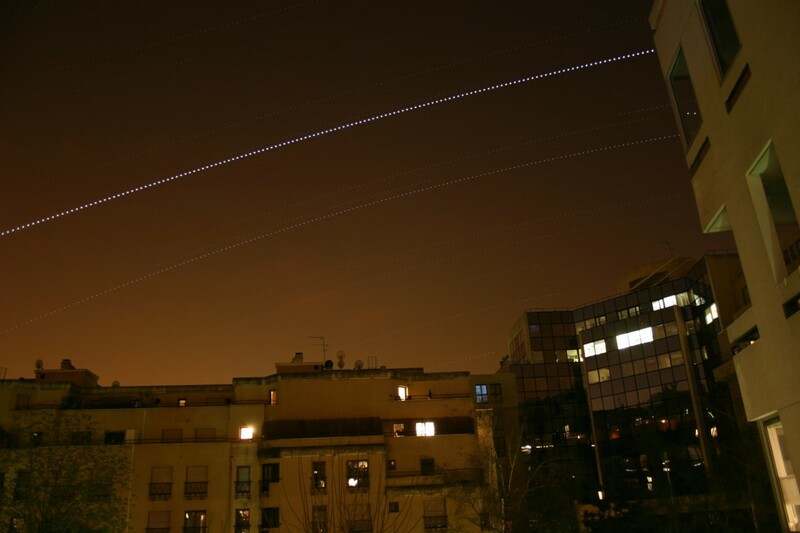 Here is an example of Jupiter motion captured with an EOS300D and Pocket shutter configured in periodic mode (combination of 240 frames captured 90 seconds apart). In periodic mode, capture period may vary from 2 seconds to 10 hours. In long exposure mode, exposure time may also vary from 10 seconds to 10 hours. Durations are adjustable with a selectable step of 1 second, 10 seconds, one minute or ten minutes. as already implemented in Shutter software. 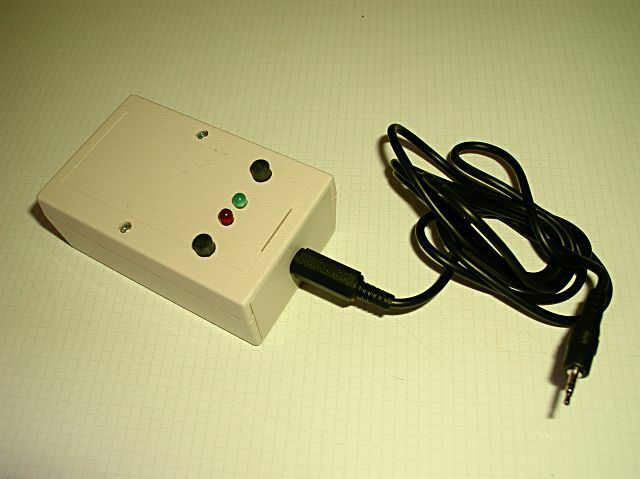 User interface is very simple and composed of two press buttons and two LEDs. Autonomy is more than 500 hours with 3 x 1.5V baterries. Pocket shutter is available for 55 with connexion cable for EOS300D/350D/400D (batteries not supplied). If you are interested send me an e-mail.